Bouchard Finlayson recently hosted a Tutored Tasting at Open Wine in Wale Street (Cape Town), showcasing Hannibal, its unique red blend of Italian varietals, with vintages ranging from 2002 to 2011. 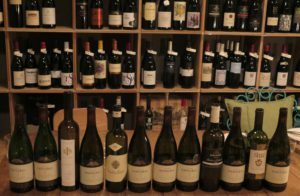 In this exciting blind tasting, Hannibal was up against two Italian wines (Fattoria dei Barbi Brunello di Montalcino Vigna del Fiore 2006 and Tenute Silvio Nardi Turan 2011), as well as a locally produced Sangiovese from Idiom, and a Nebbiolo from Morgenster. These two cultivars form the cornerstone of Hannibal, alongside Pinot noir, Shiraz, Mourvédre and Barbera. Bouchard Finlayson has to date, produced 17 vintages of this unique red blend. Winemaker Chris Albrecht said at the Tasting that the name Hannibal was adopted as a symbolic expression of the synergy with the African elephant participating in linking the winelands of France and Italy together two thousand years ago under the invading command of the classic Carthaginian general. Recently, the 2014 vintage of Hannibal received excellent ratings both locally and internationally when Neal Martin of Robert Parker’s the Wine Advocate, scored it at 91 points, after it received 93 points from James Suckling last year; and 92 points in the Tim Atkin SA 2016 Report. The wine was also honoured with inclusion in the prestigious SA Sommeliers Selection in 2016.